There are a lot of lofty claims being made by automakers these days of what their products are capable of, especially in the luxury segment where performance and comfort are paramount. 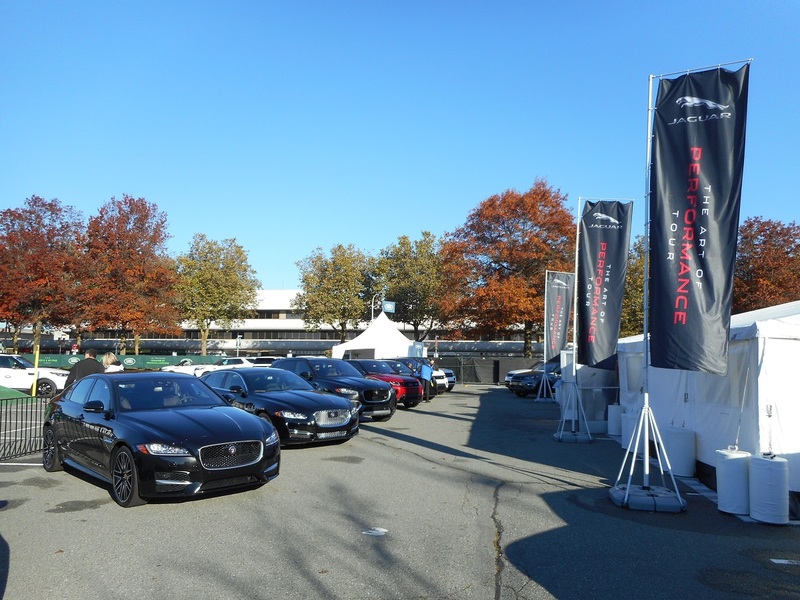 The issue is, most of the time a potential customer will never be able to really evaluate the former on a standard test drive — that’s where the Jaguar Art of Performance Tour comes in. The traveling free event has stops in key Canadian cities, most recently visiting the west in Richmond B.C. The idea is simple: give vehicle shoppers some actual seat time in the most popular and fun models including the F-PACE crossover, compact XE sedan and of course, the F-TYPE sports car. “In full transparency, here's what we hope as a manufacturer this event does: we hope that we take the first 25 minutes to geek out about the brand so we get some baseline understanding of what it is we're here to look at. 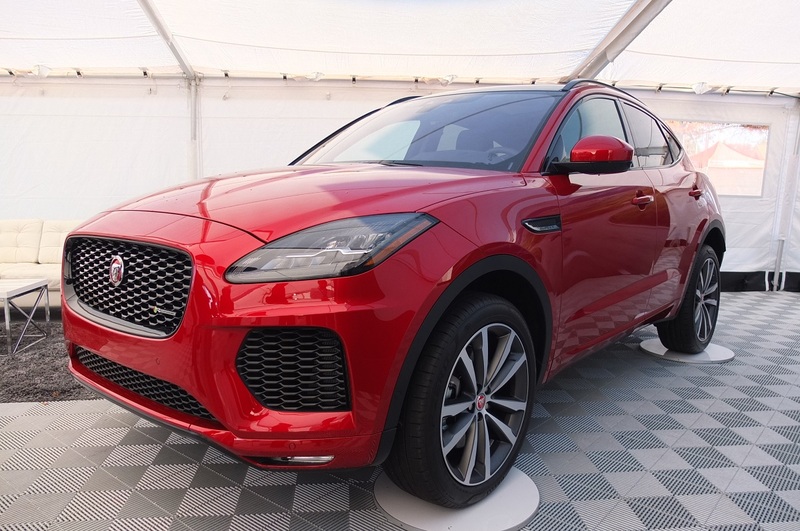 And then we take the next two hours and we put you in a situation where you get exposure to what we feel like are the best vehicles that we have,” said Jaguar facilitator Brett Bogart. His preliminary history lesson covered topics like the company’s early roots as a motorcycle sidecar builder, then known as Swallow Sidecar; the sales struggles faced a decade ago; and the current scenario where the brand has been churning out hit after hit. Bogart even touched on the forthcoming E-PACE, which was brought along for display purposes, a hotly-anticipated turbocharged 2.0-litre mini SUV arriving in stores shortly. In the meantime, enthusiasts are getting their crossover fix in the F-PACE. 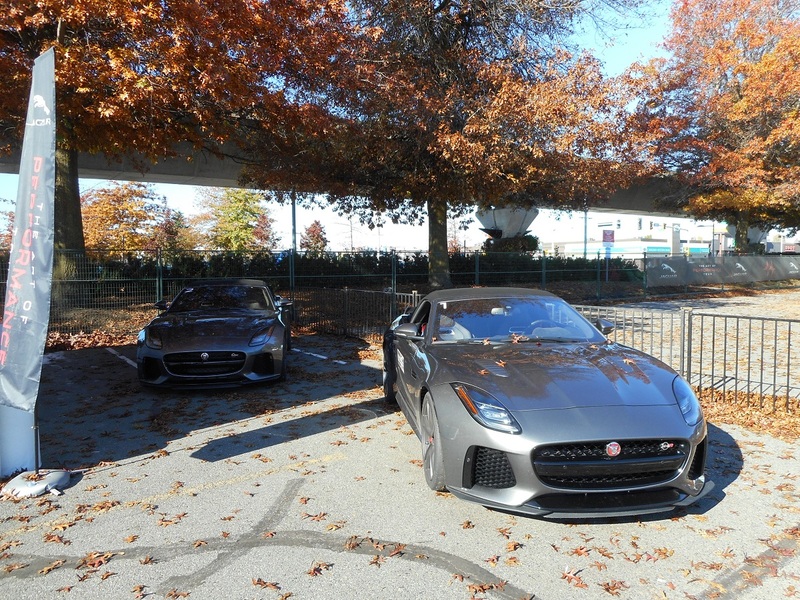 Jaguar wanted to prove the point that the 340-horses under the hood weren’t just for show through a tight slalom set up in the parking lot. People paired up and took turns feeling out how the SUV behaved weaving around cones and sweeping turns, and the answer is so well some occupants couldn’t believe they were in a utility vehicle. “Most markets are gravitating towards SUVS and crossover SUVs, but we want you to hold us accountable for is whether we've built you a vehicle that still lives up to your grand expectations of what you feel like a Jaguar should be. Which is why we've put you in the largest SUV we have and we put you out in an autocross course to kind of hold our feet to the fire of whether we've been able to do that,” said Bogart. Similarly, to demonstrate the handling prowess of the newest and smallest sedan in the lineup, the XE. 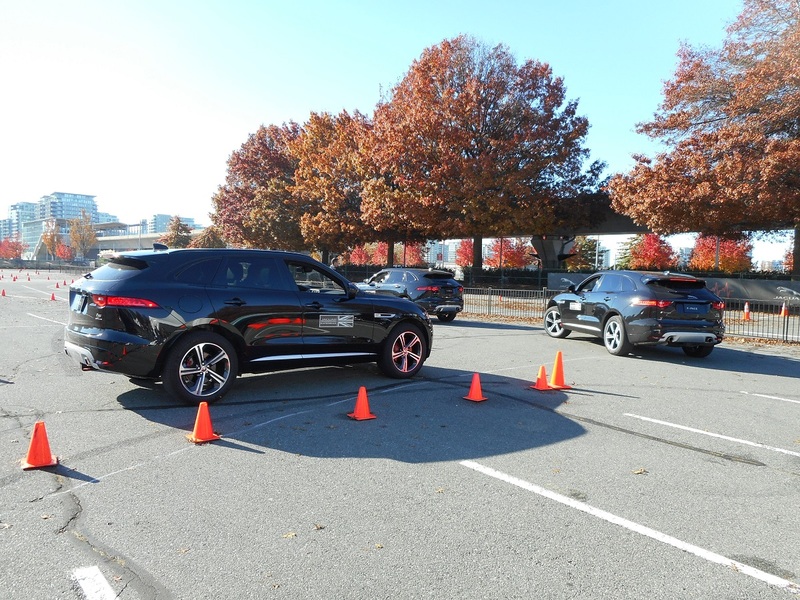 Rather than plain orange cones such as the ones used in the other exercise, Jaguar set up a series of proprietary “Smart Cones” equipped with LED lights designed to fire off in a randomized pattern alerting drivers where to head next in the course. Not only keeping participants on their toes, it showed the car was fully capable of easily making sudden emergency-like manoeuvres, helped no doubt by the body made from three-quarters lightweight aluminum. The cherry atop the performance tour was the activity centered on the F-TYPE. Professional drivers were employed to pilot a pair of SVRs — the fastest production offering in the lineup making 575 horsepower and 516 lb-ft of torque via a supercharged V8 mill — with a passenger alongside for the ride. The in-house Special Vehicle Operations-tuned rocket ships on wheels could be heard a mile away as they performed hot laps for gleeful guests, almost all of whom exited with silly grins and weak knees. For more information, visit www.jaguar.ca/en/experience-jaguar/art-of-performance.html.